Rewind to the 1980s and one of my fondest childhood memories is receiving mail. Not just any mail – but the holy grail of great mail – pen pal letters. I vote it’s time to bring the pen pal letter exchange back to the kids of today. 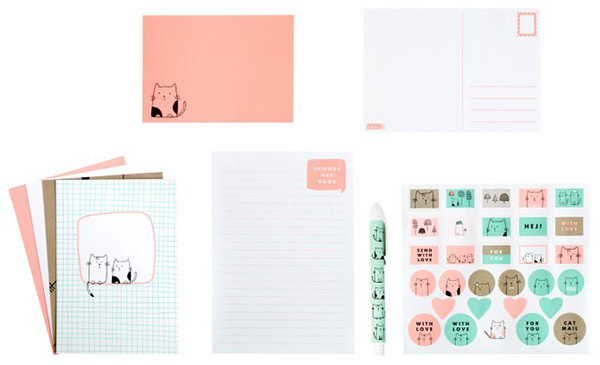 Hook them up with a sweet stationery kit such as the sweet, kitty covered Vänskap Pen Pal Kit (in case you’re wondering, Vänskap is Swedish for friendship) and set them to task. Cousins, aunts, uncles, grandparents, family friends – they’ll all love to hear the weekly rambles of what’s happening in your child’s world and there’s something really sweet and dare I say it – nostalgic – about good old fashioned snail mail that’s not of the bills or junk mail variety. 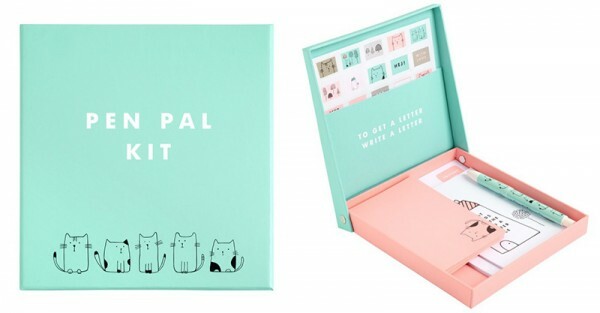 The Vänskap Pen Pal Kit is priced $19.95 and available direct from Kikki.K or pop into a Kikki.K store nationwide.